In drought-plagued California, the supply of water falls well short of demand — with food production hanging in the balance. The implications are felt globally, but relief can be found locally. Ask somebody to name five things California is great at, and chances are two of them are going to be “growing things” and “technology.” The Golden State is the salad bowl of America and much of the world, and home to legendary Silicon Valley. So it would be natural for California to become the hotbed of agricultural water technology — the Silicon Valley of Ag Water, if you will. Just look at the numbers. In 2014, in the midst of an epic drought, California’s agricultural exports totaled $21.59 billion. The state is firmly ensconced as one of the top 10 global agricultural economies in the world, ahead of Canada, Mexico, Germany, and Spain. Go to India, and you’ll be served California almonds. Milk from California cows is served in China (and premium alfalfa from California farms feeds China’s own dairy herd). Mexico’s tacos are topped with California cheese. Golden State fruit is prized in markets from Geneva to Japan. California’s farm and agricultural-related industries employ 7.3 percent of the state’s private-sector labor and generate 5.6 percent of the state’s labor income. For every 100 jobs in agriculture and the food industry, 94 additional jobs are created throughout the state, according to the University of California, Davis. So it’s especially devastating to see what the lack of water can mean for California. Last year, 564,000 acres were fallowed due to drought. More than 18,000 jobs were lost, most in the hardscrabble communities of the Central Valley. Some of those communities, like East Porterville, lost their household water to falling groundwater levels; others, like the Lake Don Pedro Community Services District, scrambled for emergency funding for wells to stave off a disaster when lake levels receded beyond the reach of their intake pipes. Agriculture’s economic losses in 2015 were estimated at $2.7 billion, after $2.2 billion in losses the year before. Farmers desperate to save their crops sucked so much groundwater that NASA satellites could see the ground subsiding from space — as much as two inches per month in some locations. As groundwater recedes along the coast, saltwater intrusion occurs. As water users drill for deeper sources of groundwater, they may encounter water that is more saline or tainted with sulfur or arsenic. That may force many communities to tap into desalination and other treatment technologies just to maintain access to traditional sources of water. And even after an El Niño winter that helped replenish reservoirs that had fallen to record lows, the threat of another drought looms. In fact, the prospect of another drought always looms in California. California is dry country in the best of years, and you don’t have to have a particularly long memory to think back to water restrictions and unplanted crops in the state. Worse, climate models predict wider swings in weather, with the potential for bigger storms and drier droughts. That’s a huge threat in an agricultural basin that is the envy of the world for its combination of great weather, great soils, and great irrigation infrastructure. As California creeps out from an epic drought — and with others always on the horizon — unmetered irrigation practices will come under greater scrutiny. California farmers need top-shelf agricultural water technology. They should be getting it from the inventors and innovators that have made the state famous for generations. Ironically, many farmers reacted to previous droughts by adopting more precise irrigation technologies, including drip and microsprinklers. To get a return on their investment in these expensive systems, they shifted from annual crops like cotton or melons to permanent crops like wine grapes, almonds, and fruit trees. The downside: In a drought like the most recent one, it’s possible to take a one-year economic hit and just not plant cotton or melons, but it’s a devastating blow to consider drying up an orchard just part-way into its productive life — maybe before it has even produced an economic return. Water-savvy farmers were faced with a kind of Sophie’s Choice: kill their crops (and maybe destroy their entire business) or pump groundwater to eke by. Meanwhile, a whole generation of urban residents had already installed lowflow showerheads, low-use toilets, and xeriscapes, making it tougher to squeeze much more conservation from municipal water districts. Of course, water issues in California go well beyond supply. Environmental issues like smog and greenhouse gas emissions are linked to agricultural water. Addressing environmental needs — an ongoing tug-of-war between farmers and fish — is a massive challenge that demands attention not just to maintaining river flows and reservoir levels, but also to safeguarding water quality. Meanwhile, Western water law discourages conservation and, often, even measurement of withdrawals. On the plus side, nurturing the soil ecosystem, which is key to productivity and sustainability, is directly tied to water. California farmers need top-shelf agricultural water technology. They should be getting it from the inventors and innovators that have made the state famous for generations. Instead, Israel and Singapore, among others, have emerged as the Silicon Valleys of Water. It’s ironic. 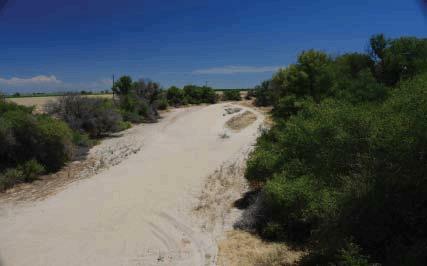 The San Joaquin River, dried in long stretches by diversions and drought, epitomizes the challenges facing California. The first key shift California needs to make is located directly between the ears — not in a technological, innovation-challenge sort of way, but in a change of mindset. While farmers and planners look to the hills to seek places to site new reservoirs for water capture (and environmentalists draw lines in the sand at every turn), the state must look at alternative water sources that are already right under their noses. Throughout farm country, lagoons at dairy farms, wastewater ponds beside every vegetable processing plant, and municipal wastewater treatment aeration tanks represent millions of gallons of available water. That wastewater has already been pumped to the surface or conveyed to the site. It’s already been counted out of river flows or groundwater reserves. Rather than seeking even more water from the environment — while releasing wastewater back to the ecosystem — it makes more sense to treat effluent for reuse as irrigation water. There’s plenty of precedent. Israel, by far the world leader in water reuse, sends 90 percent of its wastewater to treatment plants; of that, a staggering 85.6 percent is reused. Think about that. For every gallon of water that comes through an Israeli tap, more than three quarts is reused. 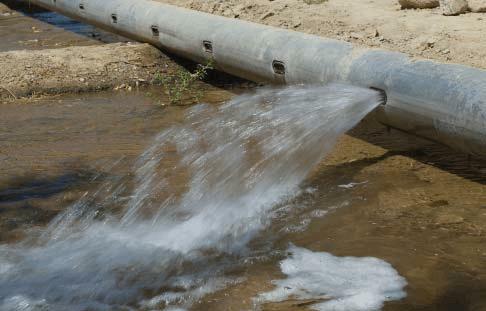 More than half of the desert nation’s irrigation water is treated, recycled wastewater. Even better, a study by the Galilee Technology Center demonstrated that irrigation with treated wastewater eliminated the need to flush fields with additional water to reduce soil salinity — which is also an issue in many areas of the Central Valley. There are some bright spots on the horizon. The California State University and University of California systems have scores of dedicated researchers committed to improving water efficiency. Their efforts range from breeding more water-efficient crops and improving irrigation timing — the demand side of the equation — to advancing water delivery systems on the supply side. Some especially exciting technologies focus at the intersection of our understanding of irrigation management and our growing awareness of the complexities of soil biochemistry. 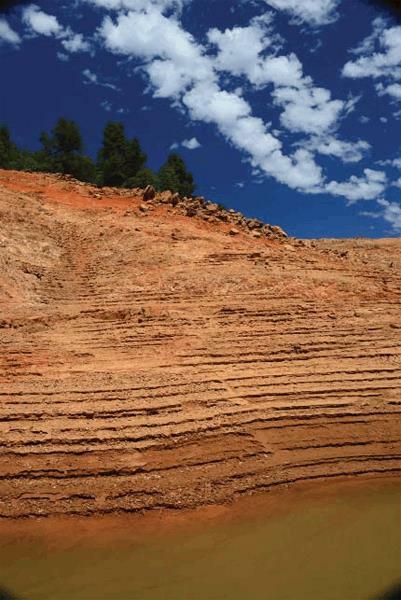 In 2014, water level at Shasta Lake dipped below 30 percent of capacity — 178 feet below full. As Leonardo da Vinci once said, “We know more about the movement of celestial bodies than about the soil underfoot.” That was profound in the 16th century, and it’s even more profound now that we have the tools to start unlocking the complex ecosystem in every ounce of soil. 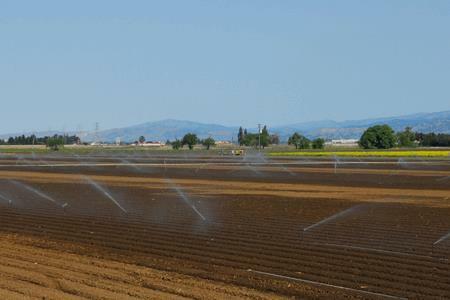 Researchers at the Center for Irrigation Technology (CIT) at California State University, Fresno, have dug deep into a fascinating connection among drip irrigation, aeration, nitrogen availability to plants, and the balance of microbial populations in the soil. Working with colleagues from the Memorial University of Newfoundland, Dave Goorahoo and Josue Samano Monroy of the CIT found that aerating subsurface irrigation water with a Mazzei AirJection system (homegrown technology designed and manufactured in Bakersfield, CA) altered the balance of microbes in the irrigated soil, reducing the amount of DNA present that indicated the prevalence of denitrifying bacteria. In short, it means the soil microbial community in the area irrigated with oxygenated water with additional microbubbles was less likely to produce NOx — the smog-producing greenhouse gases that float into the atmosphere, taking valuable plant nutrients out of the soil — and more likely to keep the nitrogen in the soil and available to crops. Good water management can also enhance plant uptake of nutrients, reducing the odds that the nitrate would leach into groundwater. That’s a win-win for farmers and the environment. Another Mazzei system, the Tru-Blend fertilizer injection system, helps farmers deliver precise amounts of vital nutrients directly into the root zone. That maximizes plant health and minimizes the chances for runoff with rainwater or surface irrigation, preventing costly and environmentally harmful discharges into canals, rivers, and lakes. It allows farmers to maximize the chances of uptake of the products they apply and minimize the likelihood of them leaching into groundwater. Such systems also play another vital role — as recordkeeping devices. Between federal and state regulations governing pesticides to California’s special groundwater management rules, precise metering and recordkeeping is increasingly crucial to farmers. In the near future, we may also see a need for affordable and accurate water metering instruments that fit agricultural systems. California’s strategic plan for groundwater management includes water budgets and careful accounting of water going in and out of many basins. Metering water is relatively simple in municipal systems, but takes on much greater complexity at the scale, and in the systems, of commercial agriculture. Achieving sustainability, just like improving any management system, requires measurement. The gauntlet has been thrown. Consider Israel the reigning champion of drought-managing water technologies. Will the Golden State step up to challenge the status quo? With the specter of drought on the increase — both natural drought from dry weather and man-made drought from regulations parsing water among farmers, environmental needs, and a growing urban population — California’s water prospects look about as dire as Israel’s. And like Israel, California is graced with innovative farmers growing highvalue crops, world-class universities, and some of the most creative imaginations and funding sources on the planet. Now is the time to bring the Silicon Valley of Water much, much closer to Silicon Valley.